The Compass Room at True North Golf Club not only delights even the most distinguished palates, but also offers unparalleled views for a truly unique dining experience. Join us for a casual lunch with your family or one of our special dinner nights, like our signature Wine Dinners or Compass Room Chats. No matter the occasion, your experience will be memorable. Few locations are more beautiful to host an event than Harbor Springs. Each season provides a new color palette to serve as the backdrop of your special day. And, True North is the perfect venue in Harbor Springs; providing its guests with a magical setting, exclusivity, unmatched service and on-site accommodations. Our clubhouse is an ideal space for intimate affairs. The private dining room can accommodate up to 12 guests for a post-golf dinner, bridal shower or business meeting. The Compass Room can be reserved for a full buy-out and accommodates up to 50 guests, with a stunning view of the golf course and lush woods below. For larger events, we can tent our expansive grounds to create a custom venue crafted to your specific vision. Opportunities are endless at True North Golf Club, and your imagination will serve as our limit. Please contact our team at 231-526-3300 x7 to make arrangements. Located in the Clubhouse at True North Golf Club with panoramic views of the finishing 18th hole, The Compass Room offers diners, golfers and guests Breakfast, Lunch, and our delicious bar menu, daily. Enjoy an inviting and innovative menu at this hidden gem. Hours are subject to change and dependent on weather. 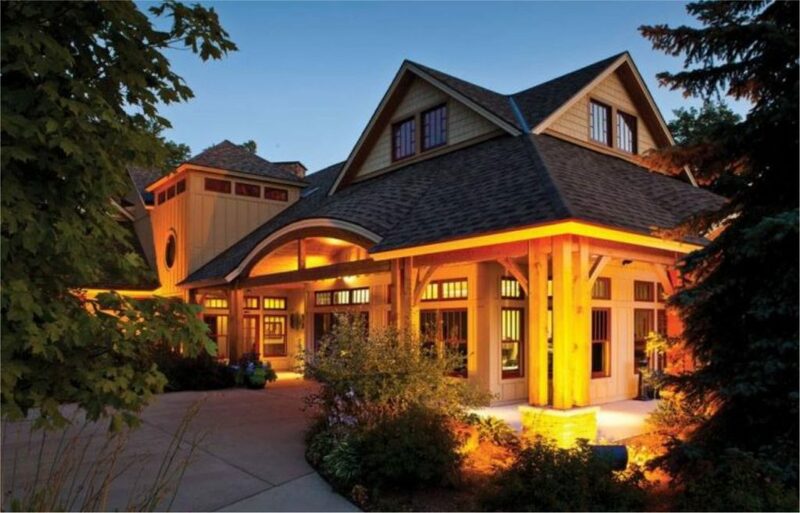 While the golf course is exclusively private, our dining room is open to our friends and neighbors of Harbor Springs.